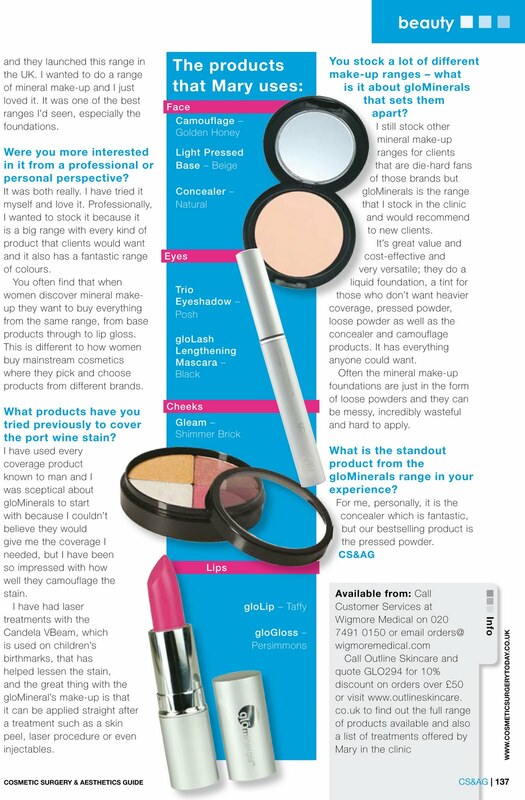 Nurse prescriber and clinic owner Mary White of Outline Skincare knows the power of mineral makeup personally. After trying every make-up brand around she has finally discovered glominerals, and uses it to camouflage and cover a large port wine stain on her face. 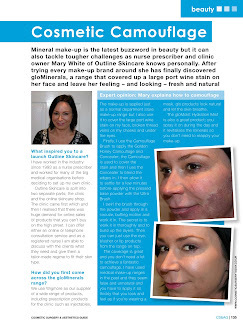 Read on for her story in UK trade mag Cosmetic Surgery and Aesthetics Guide.